By joining and using this community, you agree that you have read and will follow these rules and guidelines. You also agree to reserve discussions and shared files and content to that best suited to the medium. This is a great medium with which to solicit the advice of your peers, benefit from their experience, and participate in an ongoing conversation. Questions about The Hearing Hub community should be directed to our Membership and Marketing Department via the Contact Us link on this site. Please take a moment to acquaint yourself with these important guidelines. If you have questions, contact the Membership and Marketing Department. In order to preserve a climate that encourages both civil and fruitful dialogue, we reserve the right to suspend or terminate membership in this community for anyone who violates these rules. All posts, comments, documents, and profile information must be in English. Don't post potentially identifiable information about your patients/clients and their families. Doing so could open you up to HIPAA violations (in the US), and other possible privacy violations. Don't give contact information of others in the community to third parties, such as vendors and service providers, even if it is your employer. Instead, reach out to your fellow community member with a hub email and provide the info about the product or service to him or her, so that member may decide whether or not to pursue it. Do not harvest community member contact information, give, sell or rent that info to any third parties (including employers). Refrain from posting derisive or derogatory remarks about other professions or professionals, including those in the hearing healthcare field. While IHS does not bear the responsibility of verifying the accuracy of a member's post, IHS does reserve the right to reject or delete any message for any reason, including those that contain inaccurate information or do not contribute to productive discourse. Send messages such as "thanks for the information" or "me, too" to individuals--not to the entire list. Do this by using the "Reply to Sender" link next to every message. Do not post discussions or comments relating to administration of your personal IHS membership, IHS product orders, International Licensing Examination, Distance Learning, or other topics related your personal accounts and business with IHS. Instead, contact the IHS office at 734.522.7200 with your questions. 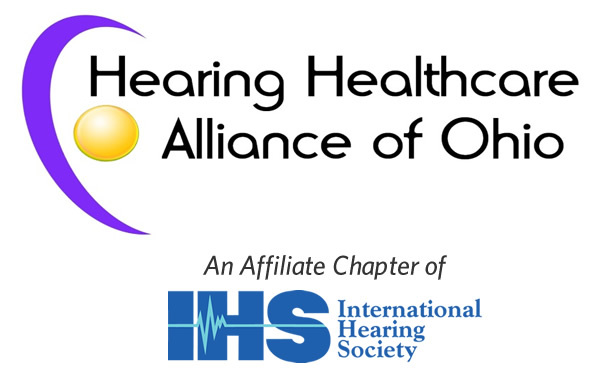 This site is provided as a service for the members of International Hearing Society. International Hearing Society is not responsible for the opinions and information posted on this site by others. We disclaim all warranties with regard to information posted on this site, whether posted by International Hearing Society or any third party; this disclaimer includes all implied warranties of merchantability and fitness. In no event shall International Hearing Society be liable for any special, indirect, or consequential damages or any damages whatsoever resulting from loss of use, data, or profits, arising out of or in connection with the use or performance of any information posted on this site. Do not post any defamatory, abusive, profane, threatening, offensive, or illegal materials. Do not post any information or other material protected by copyright without the permission of the copyright owner. By posting material, the posting party warrants and represents that he or she owns the copyright with respect to such material or has received permission from the copyright owner. In addition, the posting party grants International Hearing Society and users of this site the nonexclusive right and license to display, copy, publish, distribute, transmit, print, and use such information or other material. Posting of content on the community site by users does not constitute an endorsement or approval by the International Hearing Society. International Hearing Society does not actively monitor the site for inappropriate postings and does not on its own undertake editorial control of postings. However, in the event that any inappropriate posting is brought to the attention of International Hearing Society, we will take all appropriate action. International Hearing Society reserves the right to terminate access to any user who does not abide by these guidelines. International Hearing Society reserves the right amend these guidelines and Code of Conduct or any other rules of the community at any time.